Hypnotherapy uses Hypnosis, a consensual state of co-creation. You must want to be hypnotized in order for it to occur. This process is by no means mind control or brainwashing. While in this state, the body is deeply relaxed while the mind is highly focused and awake. With the body and the conscious (chattering) mind in a state of calm, we are able to communicate with the subconscious mind and create positive change. We go in and out of hypnosis many times throughout the day. A few examples of this natural state are: right before you wake up in the morning, the moments right before you go to sleep at night, when you are enthralled in a movie or TV program and being "in the zone" at the gym. Because this trance-like state is natural to all people, there is really no question as to whether or not everyone can enter into this range of brainwave frequency, if they choose to and if the suggestions they are given are tailored to the way that they process information. All hypnosis is self hypnosis. Most of our thinking patterns, behaviors and emotional characteristics were created before we were even a decade old. Simple reflection on this fact would bring most of us into agreement that many of these processes are out of date and no longer serving us. This is exactly why most of us have a list of things that we would like to change or do differently. What we believe, consciously and below the surface of our awareness, becomes our reality, our life. What does hypnosis feel like and what will I experience in my first session? Hypnosis is a deeply relaxing state that immediately relieves stress and anxiety. You remain mentally focused and can hear everything that is happening around you. You can get up and move around if you want, but you'll probably prefer to stay in the deep state of physical calm that it creates. You remain in control of yourself at all times. 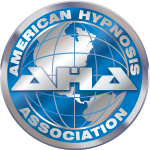 You cannot get stuck in hypnosis just like you cannot get stuck asleep or awake. In your first session, you will fill out standard intake forms and we will further discuss what goals you want to accomplish through hypnotherapy. I will explain in further detail how the process works. You will always be brought up and out of state completely before leaving my office. As a guest on Spirit Therapy Radio, Stephanie discusses how patterns that exist below consciousness can shape your life and how to shift yours into the positive in less than 5 minutes a day! Click here to listen. The LA Times chimes in on many of the ways that Hypnotherapy can improve your life! This woman doubted Hypnosis, until it changed her life for the better. Lose twice as much weight with Hypnotherapy! Hypnotherapy Is more effective than willpower for Smoking Cessation.